In the hope of bringing a greater awareness of the American contemporary music scene we have compiled an American Composer Timeline from the age of Colonialism where the Americas were European colonies. This growing database of composers lists the rich music culture still in development today. This is an excerpt from a welcome address given to parents of incoming students at The Boston Conservatory on September 1, 2004, by Dr. Karl Paulnack, Director of the Music Division. This speech embodies the ideals and missions of Vox Novus and its founder Robert Voisey. This compilation is a list of books that have proved useful to to composers as we practice our art. Attached is a "composer's bookshelf" bibliography (with annotations), compiled by David McIntire, which lists books that I have found to be helpful, inspiring or provocative in his journey as a composer. Some are references, some are technical in nature, others deal with music obliquely, if at all. 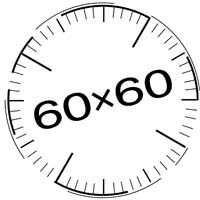 60x60 is an Internationally sprawling multimedia project with critical acclaim. Calls for submissions from composer's, sound artists, choreographers, dancers, video artists, and perfromers are routinely made. 15-Minutes-of-Fame is a chamber project of Vox Nvous which is featured on its Composer's Voice concert series. Calls for specific performers and ensembles are made routinely.